(Chicago, IL) The Chicago Film Critics Association (CFCA), the Chicago-area print, online and broadcast critics group that celebrates the art of film and film criticism, ​today announces the complete lineup, schedule and special guests expected for the sixth annual Chicago Critics Film Festival, May 4-10 at the Music Box Theatre​. Opening Night on Friday, May 4 features the Midwest premiere of ​Fast Color,​ starring Gugu Mbatha-Raw (​A Wrinkle in Time​) as a woman whose superhero powers send her on the run; ​Mbatha-Raw and co-writer and producer, Jordan Horowitz (​La La Land​), will be in Chicago for the occasion​. More information on the complete schedule and special guests is below and online; festival passes and individual tickets are also available online ​here​. Featuring over twenty-five programs selected with care by some of the most respected film journalists in the city, this year’s Chicago Critics Film Festival includes four documentaries (​Abducted in Plain Sight​; ​Hal,​ about the career of legendary filmmaker Hal Ashby; ​Liyana​; and ​Three Identical Strangers​); presentations of two exceptional 35mm prints (a 25th Anniversary screening of ​Jurassic Park​ and Yasujiro Ozu’s classic ​Woman of Tokyo​); and two short film programs scheduled to screen on Sunday, May 6 and Monday, May 7. The festival’s Closing Night selection is ​Eighth Grade​, written and directed by Bo Burnham and starring Elsie Fisher​ (​Despicable Me​) as a middle schooler enduring the tidal wave of contemporary suburban adolescence as she survives the last week of the school year before officially making it to high school. A Sundance Film Festival official selection, filmmaker Bo Burnham will be in attendance to help close out the festival on Thursday, May 10. Runner-up for Best Film Festival in the Chicago ​Reader​’s 2017 “Best of Chicago” poll, the CCFF annually features a selection of acclaimed films chosen by members of the organization, a combination of recent festival favorites and as-yet-undistributed works from a variety of filmmakers, from established Oscar winners to talented newcomers. It is the only current example of a major film critics group that hosts its own festival. The best way to ensure access to every aspect of the week-long event is to secure a festival pass, just $150 and available online here​. The Chicago Critics Film Festival and the CFCA gratefully acknowledge the support of festival sponsors, including Abt, the Chicago-based electronics and appliances store, returning this year. 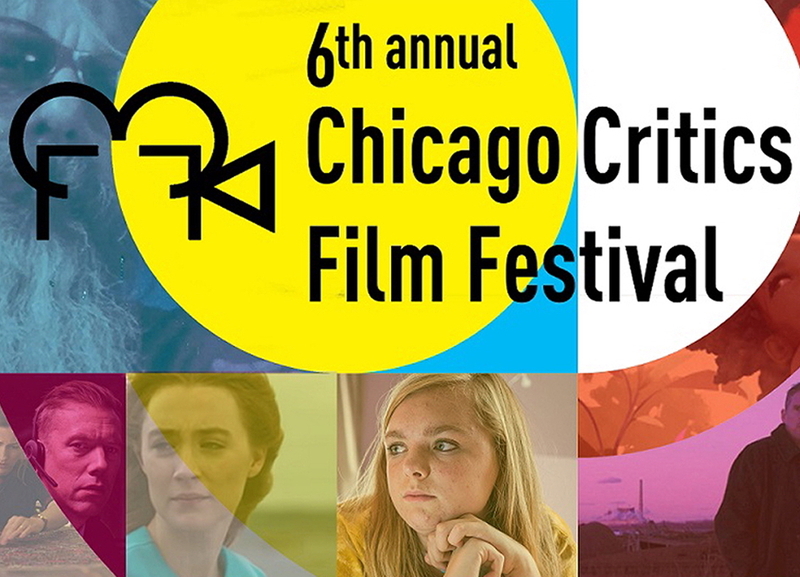 Follow the CFCA and the festival on Twitter at ​@chicagocritics​ and on Facebook ​here​. To view the complete lineup for the sixth annual Chicago Critics Film Festival, click here. To secure tickets / passes in advance visit www.chicagocriticsfilmfestival.com​.